In December 2015 the world’s governments will meet in Paris for a truly historic event—the United Nations Framework Climate Change Conference. (UNFCCC). The objective of the conference is to protect Mother Earth from the assault of its most ungrateful inhabitants. The challenge is whether Homo sapiens, especially those of the ruling classes of the United States and Europe, can be civilized by the rest of the world before it is too late for all of us. The challenge to the UNFCCC focuses on the growing world demand that the U.S. and Europe—as the greatest historical polluters, the initiators and beneficiaries of the Industrial Counter-Revolution, and the creators of economies based on slavery and conquest—must lead the way with radical reductions of Greenhouse Gas Emissions (GHG) of at least 50 percent if not 60 percent or more over the next decade. My fear is that the world’s governments, under pressure from the United States, President Obama, and the leaders of the European Union, will be unable to reach any agreement as we move towards the catastrophe of a 2 degree and then 3 degree world—as massive and hysterical production and consumption in “the West” and the world system proceeds unabated. I am a civil rights and climate justice organizer. I have been working at the United Nations through the World Conference Against Racism in Durban in 2001, the World Summit on Sustainable Development in Johannesburg in 2002. I have spent the last year reading every version of the U.N. Durban Draft, and have attended, along with Strategy Center Associate Director Barbara Lott-Holland, two preparatory UNFCCC meetings in Bonn, Germany in May and October. I have spoken with hundreds of representatives of world governments and international NGOs. Based on this investigation and assessment I am deeply troubled by President Obama’s role in this process and want to put forth some positive and necessary programmatic proposals. President Obama is not just attending the UNFCCC in Paris—he is running it. 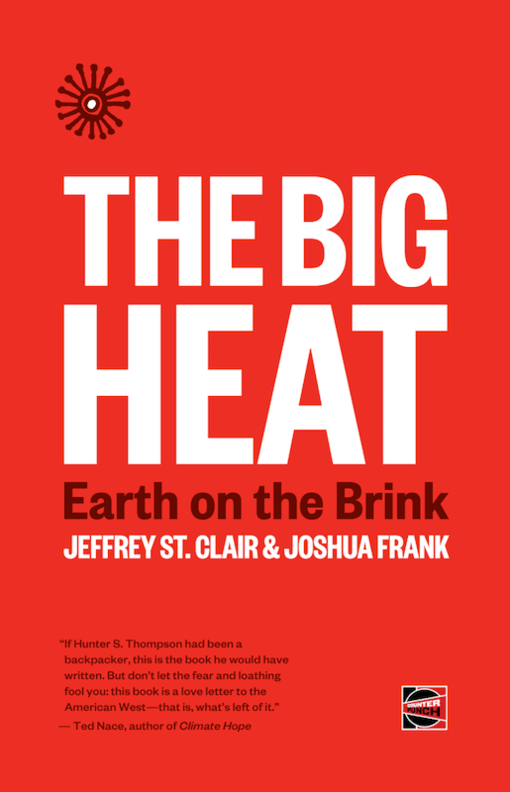 The U.S., as the world superpower with 800 military bases and its hand in every zig and zag of the Paris Process, is the elephant in the climate change bathtub. Whatever UNFCCC’s achievements or failures, President Obama and the U.S. will be the chief architects. In my assessment, the U.S. tactical plan is to prevent any strong commitments in Paris that will expose the paucity of its own proposals. As I’ll explain it is working to prevent a strong final document and is setting the bar for success very low so that the President can claim victory and protect any Democratic Party candidates from having to defend and run on a controversial climate agreement. The President and the E.U. have set the ground rules for Paris that prohibit any legally binding agreements such as Kyoto—which the U.S. had refused to ratify. This time the U.S. has imposed a plan for Paris called Intended Nationally Determined Contributions (INDC). Under the INDC process every nation is free to make up whatever GHG emissions reduction numbers it chooses, to present them without an implementation plan, and to leave Paris without any obligation to carry out its “intended” reductions. This is planetary destruction on the honor system—what I call Pretended Nationally Deceptive Retributions. The U.S. INDC is based on a mathematical misrepresentation—with disastrous consequences. The President is the main obstacle to progress in Paris. Contrary to his view that he is “dragging the world behind me to Paris” (as he told Rolling Stone) most U.N. delegates see the President and the U.S. as the main obstacles to a strong agreement in Paris. The UNFCCC has been working for a year to reach an agreement on the final text off a document—The Durban Platform. This, while not binding, could possibly set a high moral and scientific standard for emission reductions and, like the Pope Francis’ Climate Encyclical, create a moral pressure on governments. Third World governments are proposing language based on what is called “common but differentiated responsibilities” that calls on the primary polluters to make the largest cuts. There is proposed language for what is called “loss and damages” that would require the large polluters —U.S., Canada, E.U—to make massive payments, specifically $100 billion a year, into a Green Climate Fund to “developing countries.” This would be used to facilitate their transition to less polluting and zero emission development and to give “technology transfers” from the “developed nations” to the “developing nations.” And yet, at every daily debate of the governments, the U.S., the E.U., and JUSCANZ, have blocked any language in the document in that direction. The last preparatory conference in Bonn, October 19-24, was marked by bitter denunciations from many Third World nations of “powerful forces” who were blocking any strong statements. An alternative view, from the most militant climate organizers I have spoken with in both India and China is that President Obama, in fact did not lead with addressing the U.S.’ historical responsibilities but rather, resorted to what they called “India and China bashing.” And his “strong arming” was little more than Great Power Bullying. While it was a public relations victory for the president, in their view, his heavy handed behavior in fact set back the world climate movement immeasurably. My organization is going to Paris with four action proposals that we are asking the president to endorse and for which we will be organizing international support. The United States must cut its greenhouse gas emissions by at least 50 percent of 1990 levels by 2025—starting now! The established science and the world climate crisis mandates the U.S. to initiate at least a 50 percent reduction of emissions from 1990 levels by 2025. Such a plan would have to go far beyond setting stricter standards for power plants and fuel efficiencies for cars. It would require shutting down factories, closing freeways, and stopping the U.S. society’s obsessive compulsion with consumer goods. The Strategy Center has initiated a No Cars in L.A. and the U.S. Campaign as a radical but reasonable response to the severity of the problem. The president does not have to put forth a comprehensive plan to achieve a 50 percent reduction but since he was the one to impose the idea of “Intended Nationally Determined Contributions” he must start with the intention to do what is scientifically and climatically necessary—which is to popularize the concept of at least a 50 percent reduction from 1990 levels starting now. The United States must contribute $10 billion a year into the United Nations Green Climate Fund—starting now! The United States must bring back more than 100,000 Black internally displaced residents to New Orleans—with jobs, housing, and medical benefits—starting now! In my forthcoming book, Katrina’s Legacy I explain Ten Tactics by which the U.S. carried out a Genocidal Climate Crime in New Orleans by consciously driving more than 250,000 Black people out of New Orleans in 2005 during Hurricane Katrina and working to prevent their return. Now, there are still more than 100,000 Black Internally Displaced People, former residents of New Orleans, scattered and discarded all over the U.S. This demand has been raised by the Survivors Village and Environmental and Human Rights Advocates in New Orleans and is still an ongoing and real demand requiring presidential intervention. We plan to bring this to the UNFCCC to build international support for this demand and call on President Obama to take executive actions to make it happen. President Obama must end the federal Department of Defense 1033 Program that gives military grade weapons to local and state police forces including school police. The Strategy Center has initiated a No Tanks in LA and the U.S. Campaign along with other civil rights groups calling for an end to this counter-insurgency program—that provides tanks, armored vehicles, and M16 rifles to local police forces. As the protests against police brutality and poverty in the U.S. escalate so has police violence and intimidation tactics against demonstrators. As the climate crisis intensifies both inside and outside the United States, daily life is marked by droughts, floods, extreme weather events, food shortages, hunger, famine, mass poverty. This in turn generates massive movements of internally displaced people and world refugees and immigrants who in turn will be making demands on world governments including the U.S. It seems clear that U.S. ruling circles have no plans to dramatically reduce greenhouse gas emission but do have plans to repress rather than address mass protests—thus arming local police forces with tanks, grenades, and M16s. We have to end this Department of Defense civil rights, human rights, and environmental rights injustice and bring international awareness about and pressure upon the Obama administration to end this repressive program. President Obama, who began as a community organizer, understands that our job is to bring clear proposals and demands on those in power with a strong scientific and moral rationale. We have seen the president respond positively to the militancy and moral clarity of the Dreamers and change some aspects of his immigration policies, respond to the militant advocates for gay marriage, and respond to Indigenous and environmental groups who called on him to end once and for all the Keystone XL Pipeline. It is our job to build a base around our program—to call on the president to change his baseline from 2005 to 1990 and his Intended reductions from 14 percent to 50 percent, to contribute $10 billion into the Green Climate Fund, to bring 100,000 Black Internally Displaced Residents of New Orleans back to their homes, and to end the Department of Defense 1033 Program.